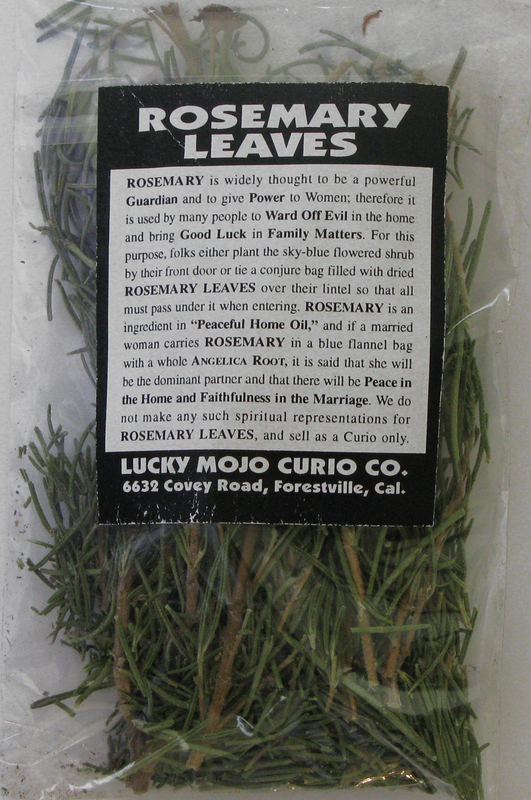 ROSEMARY is widely thought to be a powerful Guardian and to give Power to Women; therefore it is used by many people to Ward Off Evil in the home and bring Good Luck in Family Matters. 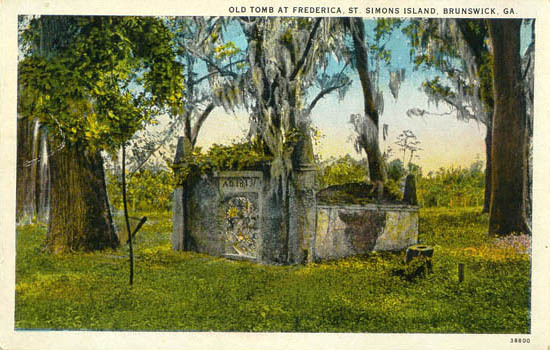 For this purpose, folks either plant the sky-blue flowered shrub by their front door or tie a conjure bag filled with dried ROSEMARY LEAVES over their lintel so that all must pass under it when entering. 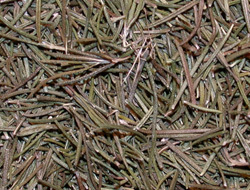 ROSEMARY is an ingredient in Peaceful Home Oil, and if a married woman carries ROSEMARY in a blue flannel bag with a whole Angelica Root it is said that she will be the dominant partner and that there will be Peace in the Home and Faithfulness in the Marriage. 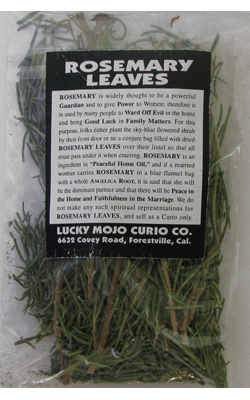 We do not make any such spiritual representations for ROSEMARY LEAVES, and sell as a Curio only. 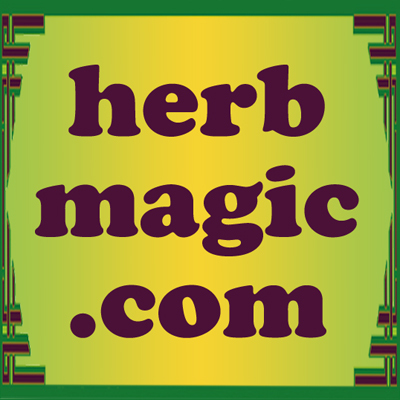 Many more folkloric magical spells utilizing ROSEMARY can be found in the book "Hoodoo Herb and Root Magic" by catherine yronwode.